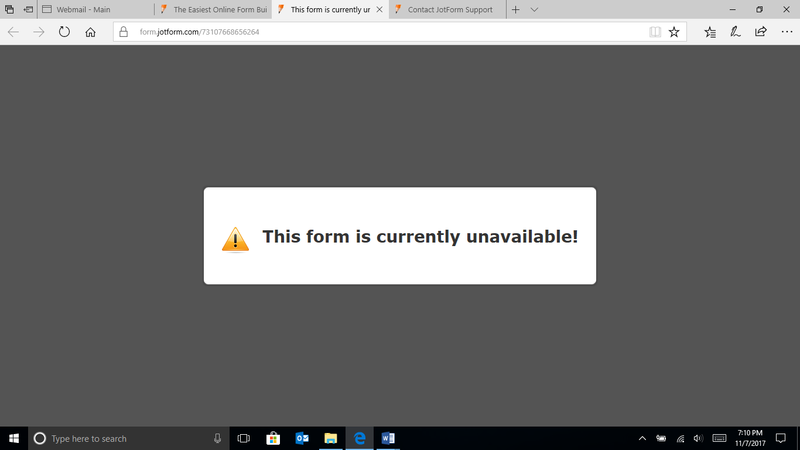 Hello - one of my forms keeps saying "Form Currently Unavailable" when I try to view it. I can open it to make edits but when I try to view, it gives me the error. Please help. 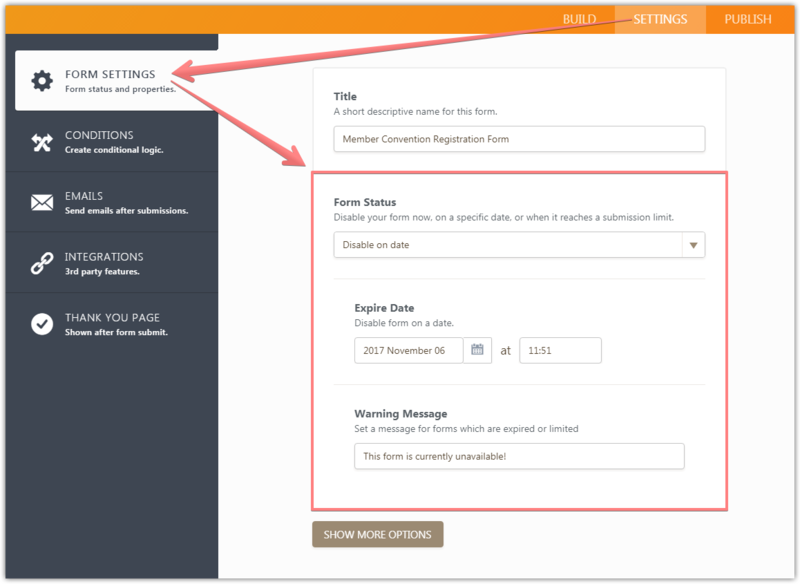 The form I am trying to view is "Member Convention Registration Form"
I have tried to clone the form and recreated it - but still the error. It appears that the form is configured to be disabled on a date via the form settings. Please change the Form Status to Enabled in order to fix the issue.